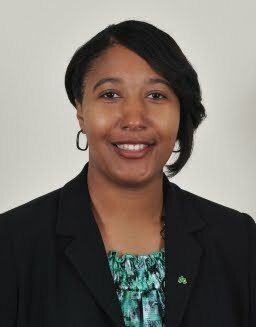 Tanya Ray has been named head coach for the women’s basketball team at the University of Arkansas at Monticello. Ray becomes the seventh head coach for the Cotton Blossoms in the 38-year history of the program. Ray comes to UAM after serving as an assistant coach at the NCAA Division I level for the past 11 seasons. Most recently, Ray was the assistant coach and recruiting coordinator at Arkansas State University in Jonesboro for the past nine seasons (2002-11). Before joining the staff at ASU, Ray served two seasons (2000-02) as an assistant coach at Oklahoma State University in Stillwater. Former Millington High girls basketball coach, Stan Gatlin, is officially the new coach at Southwind High. 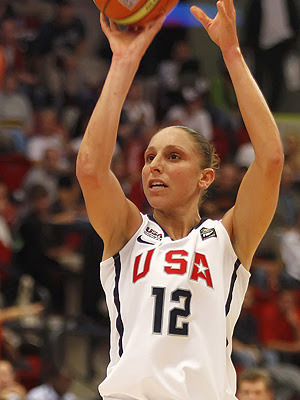 USA Basketball National Team veteran Diana Taurasi is one of 24 players expected to participate in the USA National Team training May 10-12 in Las Vegas, Nevada. Twenty-two members of the 2009-12 USA Basketball Women’s National Team, including all 12 who aided the USA to the 2010 FIBA World Championship gold medal, will attend the USA National Team’s May 10-12 training camp in Las Vegas, Nev., USA Basketball today announced. Additionally, Baylor University sophomore Brittney Griner and the Chicago Sky’s Courtney Vandersloot have accepted invitations to participate in the camp in the hopes of being added to the USA National Team pool. Gathering for the first time since winning the 2010 FIBA World Championship gold medal, the USA National Team’s training camp will be held each day at UNLV’s Cox Pavilion starting at 10:00 a.m. (PDT). Participating in the training camp are USA National Team members Jayne Appel (San Antonio Silver Stars), Seimone Augustus (Minnesota Lynx), Sue Bird (Seattle Storm), Rebekkah Brunson (Minnesota Lynx), Swin Cash (Seattle Storm), Tamika Catchings (Indiana Fever), Tina Charles (Connecticut Sun), Shameka Christon (Chicago Sky), Candice Dupree (Phoenix Mercury), Sylvia Fowles (Chicago Sky), Lindsey Harding (Atlanta Dream), Ebony Hoffman (Los Angeles Sparks), Asjha Jones (Connecticut Sun), Kara Lawson (Connecticut Sun), Angel McCoughtry (Atlanta Dream), Renee Montgomery (Connecticut Sun), Maya Moore (Minnesota Lynx), Candace Parker (Los Angeles Sparks), Diana Taurasi (Phoenix Mercury), Kia Vaughn (New York Liberty), Lindsay Whalen (Minnesota Lynx) and Candice Wiggins (Minnesota Lynx). Here is a tenative list of the upcoming events during the 2011 spring evaluation period that HoopGurlz will be breaking down. April 30-May 1: 4th Annual Gateway Challenge -- St. Louis, Mo. April 30-May 1: USJN Great Plains Qualifier -- Evanston, Ill.
May 14-15: West Coast Premier Spring Invit. -- Pomona, Calif.
May 26-30: USAB U16 Team Trials -- Colorado Springs, Colo.
May 28-30: Midwest Showdown -- Mason, Ohio. May 28-30: Wildcast Classic -- Lexington, Ky. This article and image was actually published on ESPN Rise website back in February. It features Tennessee State Champion tournament MVP Nina Davis. WOW!! 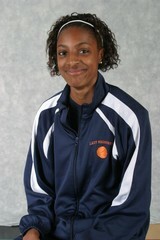 She was selected captain of Central's team as a freshman. Nina Davis wasted no time becoming a leader. 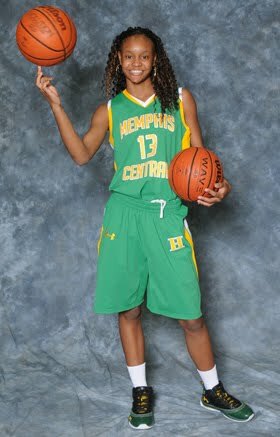 She was named captain of her Memphis Central (Memphis, Tenn.) varsity basketball team her freshman year. But it’s not always easy being a freshman and having to tell your teammates, most of whom are older, what to do. Now in her second year as both a high school student and captain, the 16-year-old sophomore point guard believes she has become more vocal this year. So how does Davis lead the team while still maintaining friendships with her teammates? But it’s especially difficult when Davis has to tell one of her teammates they did something wrong. Davis advises other young captains to always believe in themselves and, if they do that, their teammates will respect them for who they are. “Never be afraid to shine and show the gifts that God has given you,” she said. championship team by a Memphis girls team in 26 years. the West Region all-tournament team. floor and 70 percent from the line. Pat Summitt (Tenn) made $2 million and Auriemma (UConn) $1.6 million. Kim Mulkey (Baylor) made $1.1 million, Vivian Stringer (Rutgers) $1.085 million, Gail Goestenkors (Texas) $1.052 million, Sherri Coale (Oklahoma) $948,000, Blair (Texas A&M), Brenda Frese (Maryland) and Jim Foster (Ohio State) all around $800,000. After three years at UCLA, Nikki Caldwell recently signed at LSU for $700,000 a year with incentives that can take her to $900,000. 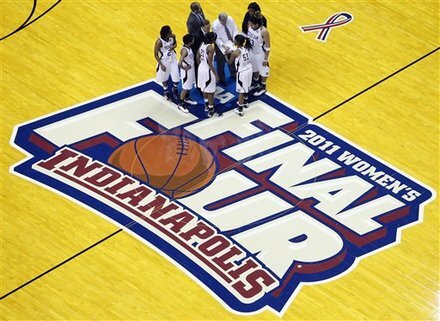 Click here for complete article "Geno And Pat Aside, Salaries Of Women's Coaches Make No Sense"
Click here to see 2011 Coaches’ compensation for schools in four of the last five NCAA Women’s Basketball Tournaments. Junior, Aaliyah Whiteside (Central) received an awesome evaluation from Mark Lewis of ESPN Hoopgurlz. Aaliyah Whiteside, Team Memphis Elite (Memphis, Tenn.): One of the most enjoyable aspects about watching prospects over the course of their career is the continuing evolution of their game. Even more enjoyable is when that athlete is an elite player like this 5-11 guard. Whiteside established herself long ago as a recruit at the highest level of play, but she has continued to advance the skills and scope of her game almost every time we've seen her in action. The potential she demonstrated at a young age is now very much a reality and it may have her climbing even higher than her current No.35 ranking in the 2012 class. 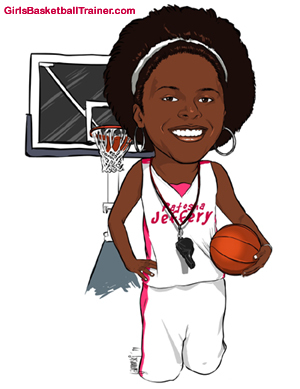 Her size and athleticism go hand in hand with an aggressive approach at both ends of the floor. She attacks with the ball in her hands but also cuts effectively without leaving defenders trying to recover. On the defensive end, she can match up with any spot on the perimeter and has the quickness and lateral speed to turn ball handlers and dictate options. She's looking stronger and playing with a maturity that should have an already crowded line of recruiters getting even longer. Last Tennessee AAU Qualifier Coming Up in Memphis Area. play in multiple) Qualifying Tourney. The last one is May 6th, 7th and 8th. Deadline for registration is April 29th. All age groups will be played. St Francis Middle School and St Francis Church Gyms. We are bringing back Prospect Watch, which was a popular weekly column from our independent days. Everyone thought this was a great way to shine a light on teams and players during the club season, which is why we're bringing this back. Let us know if you have photos we can use (helps immensely). No player is unimportant! We started HoopGurlz for all girls. This is not just for ranked or elite players! Important: Please be as detailed as possible. Spell names correctly. Give hometowns of players, teams. Give player's class year. Include your association with the player/team, so we know the source of the information. White Station seniors, Durriya Shields and Jasmine Settles made it official yesterday. They signed their Letters of Intent to play for Alabama State University. A team-first approach to winning basketball games turned out to be very successful for the Oxford Lady Chargers and junior point guard Erika Sisk this season. Not only did OHS win 24 games and advance to the Class 5A North Half tournament under coach Shayne Linzy in his second season, the 5-foot-4 Sisk was able to show her all-around skills better than she has before. Sisk not only set up her teammates during games, but she was a driving force behind the Lady Chargers’ offense. She led the area with averaging 22.0 points per game and then added to that outstanding scoring ledger by dishing out 4.8 assists and grabbing 3.9 rebounds per game. On defense, where Sisk has been known to shine as a freshman and sophomore, her speed and athleticism also allowed her to lead the team with 4.9 steals per game. It was Sisk’s all-around effort that allowed her to win this year’s EAGLE Player of the Year honor and Oxford’s first in two seasons. Joining Sisk on this year’s team is teammate Kristen Dickerson, Lafayette’s Shaquilla Isom and Nikki McChristian and Water Valley’s Ashley Phillips. Honorable mentions went to Lafayette’s Mykira Buford and Water Valley’s C.C. Phillips. Sisk, Isom, Phillips and McChristian are repeat members of the team, while Buford was a first-team member last year. Sisk, Phillips and McChristian are three-year members of the team dating back to the 2008-09 season. Erika Sisk is from Oxford, MS and a member of Team Memphis Elite-Wade. 15. Breakout stars: We’ve seen Leilani Mitchell and Crystal Langhorne take home the Most Improved Player crown over the past two years. 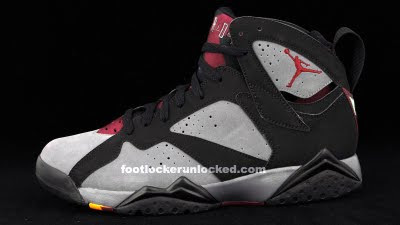 Who is your pick to breakout in 2011? Watching the players evolve over the years into a greater version of themselves is thrilling, to say the least. 13. 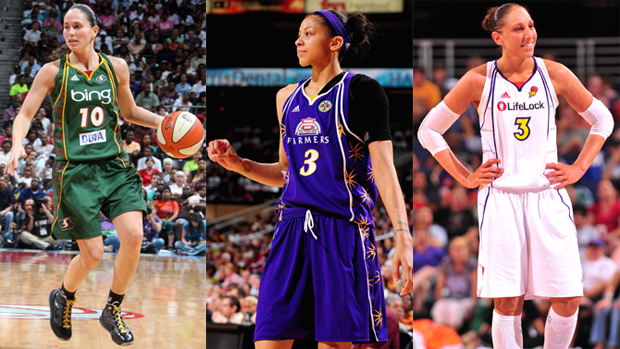 The battle for MVP: Diana Taurasi? Lauren Jackson? Sylvia Fowles? Angel McCoughtry? Tamika Catchings? Cappie Pondexter? 12. The All-Star game in San Antonio: I’ll be at the AT&T Center on July 23rd. Will you? 11. Candace Parker’s return: Now fully healthy, Parker is on a mission to lead the Sparks back into the playoffs and is more driven to win than ever before. Look for a 20-10 season from CP3. These 35 participants will be joined by a select group of applicants that can submit paperwork to USA Basketball by May 10, for a chance to be included in the team trials. This supplementary group will have to provide their own travel arrangements for the trials. Tony Wilson is now the President of the Memphis Lady Bobcats as program founder Rod Echols make a big move to the state of Texas to the Alamo city of San Antonio. Echols will remain the CEO of the program and still promote players as Tony Wilson will handle the day to day operation of the Bobcats National Travel Program. Wilson, also head coach of the Memphis Lady Bobcats Platinum Team will be the perfect fit to run the now largest girls basketball club in the Memphis Area. Wilson has new ideas that will make the club above the rest and will have new visions of growth. Meanwhile, Echols will probably venture out become an icon of girls basketball and change the seen. Echols has launched the G7 Movement this year and everyone should be on the look out for it to take Texas by storm as the Tennessee-Texas Basketball Dynasty will begin. Echols will be doing some big things with Texas Trilogy DFW Elite to make Memphis as Big of a hot bed for girls Basketball as they Big State. One of the Lady Bobcats biggest events ever is in the making with the Rage on the River Tournament May 14-15th. Don't be surprise to see Echols on the Collegiate seen of things. For now Tony Wilson is getting the club prepared for another road trip to the Gateway Classic in St. Louis, MO April 29- May 1. Team Tennessee Glory 15U (2014) competed at Brandon Clay’s, Peach State Basketball Tip-Off Classic in Atlanta, GA. April 15 – 17, 2011. The team got off to a fast start by defeating the SouthEastern Lady Blazers 16U in exhibition play with outstanding play from Grace Wade (Faith Christian Aca. ), Chyna Ellis (Arlington) and sharp shooter Sydney Smith (Collierville). The team progressed through their first bracket game by posting 17 point victory over Florida’s Finest’ 16U team. The GLORY then faced the perennial powerhouse program Louisiana Domino’s 15U team. This game was a highlight of the event, in front of a capacity crowd, with fans and college coaches, the game went down to the wire. The GLORY was down by 7 points with 1:10 remaining, but with outstanding play from Courtney Banks (White Station), Jasmine Cincore (Central), Ashley Jackson (Ridgeway), and Torri Lewis (MHEA) the game was tied with a 3-point basket by Lewis as time expired. In the sudden death OT the GLORY played great pressure defense which forced the Domino’s to shoot and miss. Jackson cleared the rebound with an outlet to Banks who attacked the retreating defense only to make a phenomenal pass to Lewis for a layup and game winning basket. The Championship game proved to be an all-out assault on TN Xtreme 15U. Gabbrella Salazar (Briarcrest) sparked the unit with 3-point accuracy and point-guard play. Raylin Starks (Arlington), Taylor Johnson (Kirby), Jasmine Hurley (DeSoto Central) kept the Xtreme’s 6”4’ post play at bay, while Yasmeen Brady's (Central) aggressive play helped close out the contest. The Peach State event is college exposure at it’s best, with multiple GLORY athletes receiving offers from SEC, Conference USA, and BIG 12 colleges. Next up, the GLORY will travel to St. Louis, MO. on April 30 to participate in the USJN Gateway Challenge. The Boo Williams Nike Invitational is one of the toughest club basketball tournaments on the circuit. Winning the gold bracket of the elite division is no small feat. But there was calmness during and after DFW T-Jack Elite's 68-63 win over the Philadelphia Belles. This win was part of a two-piece promise the team made last spring when the program lost its director and leader, Marques Jackson, to a heart attack. "Our main thing was Coach Jackson," Ashley Eli said. "This was the weekend of his funeral so it's a really emotional weekend for us and we just really wanted to do it for him. So it's not so much winning a tournament but just more doing it to make him proud and we know he's looking over us." This DFW team, whose core has been together since the eighth grade, missed this tournament a year ago to attend Jackson's funeral. But this resilient group had two goals this season -- win Boo and win Nike Nationals. University of Memphis senior forward Starkitsha Luellen-Higgins (Melrose) participated in an open workout in front of several WNBA general managers, head coaches and numerous professional agents and scouts in conjunction with the Women's Final Four in Indianapolis, Ind., last week. The workout was conducted at Pike High School in Indianapolis and Luellen-Higgins was one of about 60 players from across the country that displayed their talents in the open workout. "This was a great opportunity for Star in her attempt to continue her playing career overseas," Head Coach Melissa McFerrin said. "I told her to go out there and play hard, play physical and rebound. She received good feedback from the several agents that watched her play. It was a great opportunity for her to showcase her skills and I hope she is given the opportunity to continue playing the game she loves professionally." During McFerrin's years in the college game, she has coached numerous individuals who have played professionally in both the WNBA and overseas, such as Katie Smith (currently with the Washington Mystics), Janel McCarville (currently with the New York Liberty), and Lindsay Whalen (currently with the Minnesota Lynx). Luellen-Higgins recently completed her eligibility at the University of Memphis after starting her college playing career at Southwest Tennessee Community College. A graduate of Melrose High School here in Memphis, she was two-year letterwinner at Memphis, helping Memphis make two post-season tournament appearances (WBI in 2010 and WNIT in 2011). 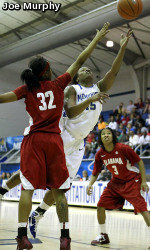 She played in 56 career games at Memphis, averaging 2.3 points and 2.4 rebounds per game. She scored a career-high 10 points in the regular season finale at UCF, scoring eight straight points to spark a Tiger run in the second half. She will graduate in May with a degree in Interdisciplinary Studies. All-State girls basketball teams as selected by the Tennessee Sports Writers Association. Rachel Allen (Northeast), Danielle Ballard (Central), Shacobia Barbee (Riverdale), Armeka Booker (Oak Ridge), Nicole Bowers (Hillsboro), Sydney Carden (Halls), Shanice Cason (Siegel), Nina Davis (Central), Bashaara Graves (Clarksville), Hannah Goolsby (Cookeville), Isabelle Harison (Hillsboro), Kyla Kerstetter (Brentwood), Briana Morrow (Glencliff), Hasina Muhammad (Ridgeway), Jordan Neuharth (Walker Valley), Hayley Newby (Farragut), Cheyenne North (Station Camp), Alexus Patterson (Knox West), Tyisha Petty (Riverdale), Torie Vaught (Maryville), Aaliyah Whiteside (Central), Caya Williams (Mt. Juliet). Jenna Adams (McMinn Central), Kayla Biles (Upperman), Kelsey Brooks (Pigeon Forge), Cara Bowling (Elizabethton), Haley Felker (Harpeth), Sam Fender (Greeneville), Bre Hall (Fulton), Anna Hammaker (CAK), Ann Jones (Liberty), Keiona Kerby (Liberty), Cassidy Martin (Piegon Forge), Elizabeth Masengil (McMinn Central), Ansley Ricker (South Greene), Mackenzie Sells (Livingston Academy), Emily Sissom (Cannon County), Kelli Smith (Lipscomb), Kendra Willliams (Bolivar). Robyn Anthony (Arts & Sciences), Courtney Bailey (Scotts Hill), Alex Bond (Oneida), Mariah Britton (North Greene), Jaycee Coe (Jackson County), Layce Colter (Red Boiling Springs), Carly Daniel (Wayne County), Carly Dickens (Clarkrange), T.T. Flowers (Lake County), Rachel Garland (Moore County), Lindsey Higgins (Harriman, Alaina Jordan (Coalfield), Lindsey Kilby (Oakdale), Abby Laws (Loretto), Mariah Massengill (Silverdale Baptist), Alyssa McMahan (Cosby), Sydney Roach (Clay County), Keta Robinette (Marion County), Alycia Simmons (Perry County), Heather Vann (Moore County), Caroline Warden (Jackson County). Simone Busby (GPS), Marjorie Butler (Webb), Chadarryl Clay (GPS), Symone Daniels (St. Benedict), Kaylah Keys (Harding Academy), Sarah Galvin (JPII), Taylor Reece (Brentwood Academy), Christina Slay (Ensworth), Justice Swett (Ensworth), Derica Wyatt (FRA). A stellar highlight video -- and an academic record to match -- helped Germantown girls basketball standout Christal Porter land a scholarship with Rice University in Houston. Porter, a 6-1 post player, signed with the Owls on the first day of the late signing period last Wednesday. And while most of the big names in all sports tend to sign early, the late period is perfect for ferreting out hidden gems. Porter fits the bill, said coach Kristen Reich, who added her star is only just now scratching the surface. "I think she's going to do really well," Reich said. "Her senior season was her best season, and she's worked so hard to improve. Especially for post players, it takes them longer to develop. She's only going to get better." Porter was a versatile presence for Germantown, which finished the season with a 18-12 mark. She led her team in rebounding (10.9 per game) and steals, while finishing second in points (9.1) and assists. That versatility was on display on the highlight video that Porter sent out to various schools. Rice was intrigued, and Porter's 3.7 grade point average and score of 27 on the ACT helped seal the deal. She signed after visiting the campus last weekend. "They needed a post player, but they had almost given up because it was so late (in the recruiting process)," Reich said. "Their coach (Greg Williams) said it's hard sometimes for them to recruit to their academic standards." While Rice will benefit from signing Porter, Reich said it's big accomplishment for her program as well. "It's huge," she said. "It just shows how much our program has grown, especially in such a competitive district." As a player on the Memphis Elite Daniels AAU team, Hasina Muhammad was accustomed to participating in the Deep South Classic each spring against some of the top girls from across the country. On Saturday, the Ridgeway senior will join 21 of those top-ranked prep players at the 12th annual Deep South Classic -- only this time she will be a participant in the fourth annual Fila All-American Basketball Game. The game will be played at the University of North Carolina at Chapel Hill with tipoff at 9:30 p.m. CDT. Muhammad, an Auburn signee, will play on the West team. The rosters are comprised of players slated to attend 19 universities. Muhammad is the only representative from Tennessee. In leading the Roadrunners to a 20-9 record in her senior season, Muhammad averaged 17.8 points, 7.4 rebounds, 2.3 assists, 3.9 blocked shots and 2.6 steals. At 6-feet, Muhammad is projected to be a wing player at Auburn. Willett said Muhammad was Ridgeway's most valuable player since her sophomore season. And she expects her former star to have the same type of impact at Auburn, where they are comparing her to former Auburn star DeWanna Bonner, now a member of the Phoenix Mercury of the WNBA. ''The thing that I like most about Hasina is the fact that she's a kid with great character,'' Willett said. ''I think basketball skills fade after a while. But to have a kid with the character that she has, I don't think that she's been tainted that much. I've coached some kids that have been real cocky and not coachable. Hasina wants to get better. And it's hard to find that kid. She's gotten all of the national attention and she loves her teammates still. She's still unselfish. It's hard to find that kid. Muhammad, who also participated in the Tennessee Athletic Coaches Association's All-Star game in Murfreesboro in March, said she plans to enroll at Auburn June 23. ''I'm excited, and I'm ready to work hard,'' she said. For four years, Kenny Kallina of The National Women's Basketball Insider, has put out the top club teams of the South. He released his ranking just in time for the highly anticipated evaluation weekend. The South is Kentucky, Tennessee, North Carolina, South Carolina, Georgia, Florida Louisiana, Alabama, and Mississippi. 10. Georgia Hoopstars Black - The Hoopstars return Ohio State commitment Kianna Holland (SC) from injury and added Peyton Whitted (2013-GA) who left Georgia Ice. the Hoopstars have a steady flow of big players and athletes on the perimeter one of the classic teams in Atlanta are always competitive and atop of the region. Team Tennessee Glory is off to a great start, the 15U/Soph team swept the field, to go 6 – 0 and win the Championship of the Girlz Got Game tournament held in Little Rock, AR, April 2 & 3, 2011. The GLORY posted a 30 point average margin of victory for the tournament. Each contest provided dominant performances by freshmens Ashley Jackson, Jasmine Cincore, Courtney Banks, Rayelynn Starks, Cyhna Ellis, Tenelle Walker, Grace Wade, Sydney Smith, Gabriella Salazar and Yasmeen Brady, these are some the nations top prospects for 2014. The team was anchored by sophomore Jasmine Hurly and the prolific 8th grade phenom Torri Lewis. To cap off a great weekend of basketball, point guard Courtney Banks was named tournament MVP. Craigmont High's Jemil Jefferson has signed with the Itawamba Community College women's basketball team. The 5-10 forward averaged 14.3 points, 8.2 rebounds, 3.1 steals and 2.2 blocks per game for the Lady Chiefs as a senior. 2011 Fila All-American Game, a Michael T White production, will be held on April 16, 2011 at the University of North Carolina during the Deep South Classic spring evaluation event. Maya Moore is used to winning titles at Connecticut. Now she's ready to bring that same mentality to her new team -- the Minnesota Lynx, who took her with the first pick in the WNBA Draft on Monday. "Every year the goal is a championship," she said. "That's what I expect. I go on to every team expecting to win a championship, especially with the amount of talent we have. I don't want to limit to the playoffs, I want to win a championship." She helped UConn win a record 90-straight games during one stretch over the past two seasons, and also led the school to two national championships in her stellar four-year career. The Memphis Lady Mustangs coached by Anthony Douglas won the 8th Grade division of the Super Champs of America Spring Classsic tournament. They defeated “2nd to None” 37 to 16. Other teams participating in the 8th grade girls division include Lady Bearcats, Arkansas Warriors, Magic Stars and Super Champs. 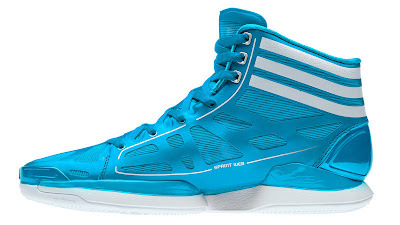 NCAA Div. 1/NWIT: Jasmine Robinson (Overton), Alabama; Desiree Phillips (Manassas), Missouri State; Sarah Watkins (Houston), Arkansas; Adrian Rogers (Ridgeway), Southern; Starkitsha Luellen-Higgins (Melrose), Memphis; Mary Jackson (Oakhaven), Memphis; Jasmine Gardner (Mitchell), Liberty; Jasmine Newsome (Millington), Tennessee-Martin; Lauren Avant (Lausanne), Tennessee; Deja Foster (Wooddale), Georgia Tech; Centhya Hart (Treadwell), St. Johns; Crystal Riley (Hillcrest), Kentucky; Nia Gregory (Collierville), Arkansas-Little Rock; Karisma Tyson (Overton), Arkansas-Little Rock; Jasmine James (Bartlett), Georgia, Jamila Ajanaku (Central), Middle Tennessee State. NCAA Div. 2: Jessica Brown (Booker T. Washington), Delta State. JUCO: Ashley Robinson (Millington), Georgia Perimeter; Hattie Harris (Fayette-Ware), State Fair. One of the reasons Adrienne Pratcher chose to attend Texas A&M is because she felt like the women's basketball program could do some amazing things under coach Gary Blair. But when the final horn sounded and the Aggies had defeated Notre Dame on Tuesday night, 76-70, to claim their first NCAA national championship, the sophomore point guard from East High was left stunned. Pratcher was a backup point guard to Associated Press honorable mention All-American Sydney Colson. 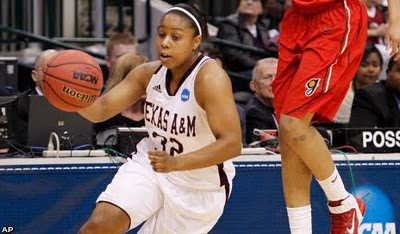 She played in 34 games, averaging 2.4 points and 1.0 rebounds for the 33-5 Aggies. She enjoyed the NCAA Tournament ride that saw Texas A&M knock off Big 12 rival Baylor, a No. 1 seed that beat the Aggies three times this season, in the Elite Eight, then follow that with a thrilling win over Stanford, another No. 1 seed, in the Final Four semifinal game. Pratcher's playing time diminished as Texas A&M advanced in the tournament. She played a total of five minutes at the Final Four, where her only disappointment was committing four turnovers. Still, all was forgotten when the Aggies cut down the nets at Conseco Fieldhouse, then returned Wednesday to College Station, Texas, where thousands of fans filled Reed Arena to greet the champions. Pratcher, who was the class valedictorian at East in 2009, looks forward to returning to Memphis later this spring to share her experience with family and friends. She's also already looking forward to next season, when she's expected to replace Colson at point guard. Tennessee has lost another women's basketball player and a key position has taken the brunt of the latest departure. 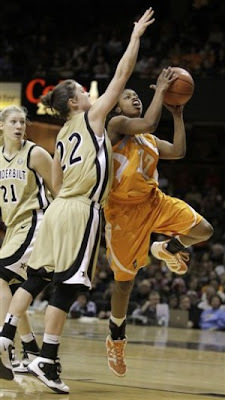 Freshman point guard Lauren Avant told UT coach Pat Summitt on Wednesday that she wouldn't return next season. After a team workout at Pratt Pavilion, Summitt said that Avant would finish the spring semester at UT before transferring to a "smaller school." The news came the day after injury-plagued center Kelley Cain announced that she would forgo her final season of eligibility. At that point, Summitt said that she didn't expect any more player attrition. "She just didn't feel like that maybe a Division I program was the best for her,'' Summitt said of Avant. ". . . She said: I'm not looking for anything other than maybe a Division II or III (school)." Avant could transfer to a school in either classification and maintain her eligibility, rather than have to sit out a season." UT issued a release on Avant's departure but she didn't comment on the matter. With Avant leaving, reserve Kamiko Williams and Briana Bass, who plays sparingly, are the primary point guards currently on the roster. Freshman Meighan Simmons moved into the starting spot in early December and finished the season there but she's destined to play off guard. Incoming freshman Ariel Massengale already has been named the starting point guard for next season by Summitt, who indicated that UT now will add at least one more player this spring. Avant's season had a Cain-like quality to it. She arrived at UT still recovering from a shoulder injury that limited her to eight games during her senior season at Lausanne Collegiate School in Memphis. While at UT, she suffered an ankle injury and endured illness and concussions. She played in just 19 games. Her biggest highlight was scoring 11 points and sparking a comeback victory at Vanderbilt on Feb. 13. The demands of playing basketball at Tennessee were compounded by Avant's pre-med academic concentration. She plans to become an orthopaedic surgeon. Avant originally committed to Tennessee when she was 14 years old. 2011 NCAA Womens National Champions. Danielle Adams scored 22 of her 30 points in a dominating second half and Texas A&M beat Notre Dame 76-70 on Tuesday night to win its first national championship. Texas A&M (33-5) built an early 13-point lead with its aggressive defense, fell behind by seven in the second half, then rallied by pounding the ball inside to the 6-foot-1 Adams, who bulled her way to 9-for-11 shooting in the final 20 minutes. Already packed with one surprise after another, the NCAA women's tournament has one big dose of intrigue left when Notre Dame and Texas A&M play for the championship. The traditional powers -- Tennessee, Connecticut, Stanford -- are all gone, only the second time ever the title game won't have a No. 1 seed in it. But there's a budding star in Irish standout Skylar Diggins, a new participant in the Aggies and an entertaining, outspoken coach in Texas A&M's Gary Blair. LSU has hired Nikki Caldwell as its women's basketball coach, vice chancellor and director of athletics Joe Alleva announced Saturday night. 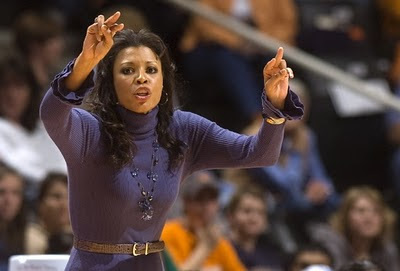 Caldwell, who won a national championship as a player at Tennessee and then two as an assistant with the Lady Vols, was 72-26 in three seasons at UCLA. The Bruins were 28-5 this season and lost to Gonzaga in the second round of the NCAA tournament. "Nikki is one of the best and brightest coaches in the country," Alleva said in a release. "She has been successful on every level -- as a player, an assistant coach and a head coach -- and she has all the qualities to bring our program to national prominence." Caldwell will replace Hall of Fame coach Van Chancellor, who stepped down last month after LSU failed to make the NCAA tournament for the first time in 13 years. Chancellor was 90-40 in four seasons with the Tigers. Caldwell, who also spent three seasons as an assistant at Virginia, will be formally introduced at a news conference on Monday. She was selected the Pac-10 coach of the year in 2010 after going 25-9 in her second season with the Bruins and reaching the second round of the NCAA tournament. UCLA's five losses this season were the fewest in school history in the NCAA era. "I met with Nikki earlier this week and made her what we felt was a very attractive multiyear offer to keep her in Westwood," UCLA athletic director Dan Guerrero said in a statement. "It was our hope that Nikki would want to continue building what she has started at UCLA and we did all we could to make that desire a reality."